2 Here are Paula’s 10 Sensible Tips for Healthy Travel. 3 1. Water, Water, Water. 13 Do you have any suggestion for healthy travel? The last thing you want when you are traveling is to be sick. Maintaining your health is very important, and it comes down to some fairly simple and sensible things. This list is by no means definitive so please feel free to add any of your tips for staying healthy while traveling. I want to add some riders here. There is no such thing as dieting when you travel. This is when all bets are off. Surprisingly, traveling can be a very easy way to maintain fitness or indeed to get fit and to be healthy, as well as to indulge yourself mercilessly. 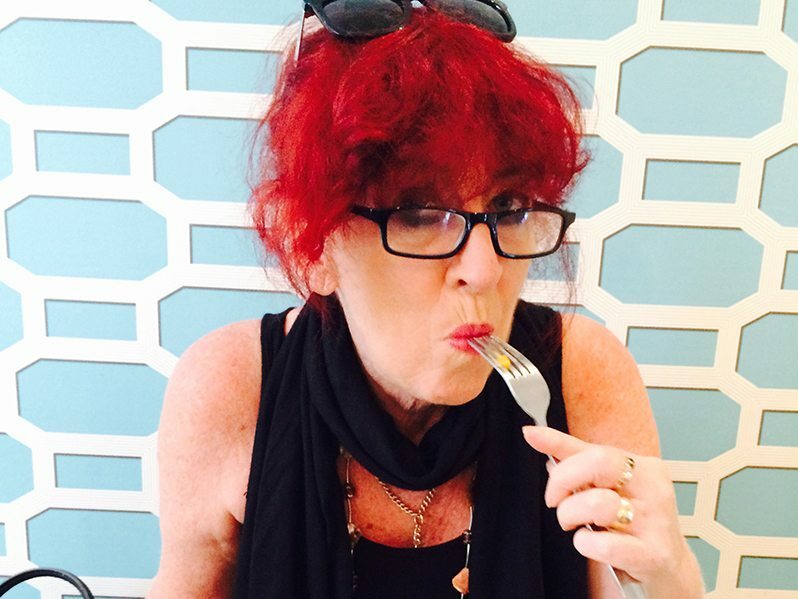 Here are Paula’s 10 Sensible Tips for Healthy Travel. From when you get on that plane, on the train, bus or car – drink water. A lot of water. Drink so much water that you wear the carpet out going to the toilet. Not only is water good for you, but it also is a sure fire way to minimize jet lag and to flush that system of yours. When you arrive anywhere, the very first thing that you need and must do, is to stock up on your water supplies. Always check the countries recommendations as to whether it is safe to drink the tap water, and probably err on the side of caution if in doubt and buy bottled water. Just as a side note, in many Asian countries, they own bottling capping equipment, so buy lots of water from a reputable place. Take your water bottle with you wherever you go and drink a lot of it, all day and all night. The best way to see a place is by walking and by getting a little lost in the process. With your trusty bottle of water on hand, you really should walk wherever and whenever you can. My rationale is that walking justifies that I will eat whatever and whenever I feel like it. Grab a pedometer app, and marvel each evening at just how many kilometers that you have covered. Then eat cake, drink wine and celebrate how good you are. Cycle, Swim, Dance, Ski. Do anything that fits the locale and suits your own needs. It doesn’t matter what style of traveler you are; you will find that if you are actively doing something you will enjoy it so much more. When we were in Phnom Penh, Cambodia we would join in with the tai chi each morning. Other days we would just copy the people doing their stretches. Stretching is mega good for you. Eat whatever you like. This is such an important part of your travels. Move out of your comfort zone and try new things. Get into the sushi in Japan, the risotto in Italy, the frites and mussels in Belgium, the bread in Paris. If you are a little nervous about what you are eating then follow what my doctor told us. If you can’t wash it, peel it or cook it, then don’t touch it. We stray a lot, but it is not a bad rule of thumb. Look at where you are eating. If there is a bus/coach out the front, keep going because it is generally mass produced food. If there are a lot of locals and it looks reasonably clean go in and enjoy. Ditto street food, which is mostly cooked right there in front of you. I always find that while I might go beserk in the 1st few days eating fully cooked breakfasts and loving them, I eventually really just want fresh fruit or cereal. Throughout the day, I never deny myself anything because I am walking a lot, and I am drinking a lot of water. So in my own rationalism, this means that if I see a cake in a patisserie I will eat it. Your body gets sick of too much rich food and stodge. Listen to your body. When it says enough, then give it a break. Sometimes you just don’t feel like going out at night, because you are too tired from walking, cycling, boating, dancing. So head to the local supermarket and buy some salad or sandwiches. You can then follow this with the cakes and cheeses that you bought on your travels. If you have bought cheese, bread, oils, and grapes then I think that becomes a meal in itself. There are lots of germs around, we all know this. Wash your hands regularly but not Michael Jackson obsessively. At times, it doesn’t hurt to have some antiseptic hand wipes with you. This is one of those things that is where being flexible and adaptable is the key. I am a notorious early riser and always wake Gordon up because I love to see a place wake up. It is seriously one of the nicest times of the days. To counter this predilection of mine, we always stay centrally so that we can go back and have a break in the middle of the day if we should choose to. Everyone should factor in some down time. This gives you a chance to think about all of the wonderful things that you have seen and done and are about to see and do. It gives you and your body a chance to re-group. Don’t forget that you shouldn’t try to see every thing at the expense of your health. Read OMG – you didn’t see the Mona Lisa, what were you thinking? It doesn’t hurt to have a break from one another if you are traveling with someone else. Yes, not a great topic but try and get yourself into a routine as soon as possible. It makes it much easier when you are doing things. Everyone has different medications that they may be required to take with them. Make sure to check that you can actually take them into the country. An excellent rule of thumb is to have a doctor’s letter with you explaining that they have been legally prescribed for you. We are pretty minimal with the drugs, but we always take antibiotics and some form of pain killer. As a side note – many people will get a dose of diarrhoea. It generally is quick and comes from a change in water, and that can even happen if you drive 5 hours down the road. Mostly you should not try and stop it with medications, but learn to spot toilets and run quickly. I know this from experience, when i broke the world speed record racing from the lake in Hanoi the nearest 5 star hotel, because they always have toilets in their lobbies. Sorry hotel, which I am not naming should we want to work with them in the future. It will run its course, no pun intended, in a couple of days. Obviously if it is serious, get help. The sun can be pretty vicious at times. In Australia, we know all about this. Slip, Slop, Slap is what we all live by, and its message is universal. Slip on a shirt, Slop on sunscreen, Slap on a hat. Add to that Seek and Slide – Seek out shade and Slide on sunnies, and you are good for anywhere that you travel to. These are Paula’s 10 Sensible Tips for Healthy Travel and are not that difficult, and all of them have inherent benefits. Do you have any suggestion for healthy travel? FUN, FUN, FUN healthy travel tips. Thanks for making it a fun read too! Good, Good,Good tips Paula. I do have a problem with the water, as I ‘m always worried I might be in a spot off the beaten path looking for a bathroom. Working on the down time-it is not my forte, but i’m there with you with everything else. Good tips! I need to work on the “down, down, down” part. It does seem that we are constantly on the go because we have limited time and so much we want to do, but I’ll often look back and think we should have taken more time to just unwind in a favorite spot. I really think that down time is critical to absorb everything. Walk, Walk, Walk then Eat, Eat, Eat – love it! I find too that I can eat as much as I want while traveling, as I’m usually on my feet most of the day. When at home however, that’s another story. Fun post and good tips! I agree Shelley. My metabolism (!) is better when I travel. some good tips here, some we practice, some we need to practice more. Hi Paula…all great tips and I follow all of them (or try). Even if the sun is not shining brilliantly I make sure that have my face covered with sun screen and also my hands. I try to keep those sun spots at bay! You can say that again Paula, If only I could up vote this post a million times ! So true and so frustrating. I find it almost impossible to avoid gaining weight during a trip, even though I walk a lot. The food is just too good too much of the time! Loved your tips, Paula, which were very practical as well as being fun to read. Your number one item, water, is always my first question when we arrive. “Is it potable and where do we buy it?” and I have to agree with you that the food is a huge part of travel. We walk a lot and then enjoy the whole eating/dining experience in each country! I feel like saying, “Thanks Mom!” But it’s true, we must be reminded of these things constantly. and when the adrenaline and excitement of a new place kicks in, it’s so easy to ignore the rules. The sights. events, eats, architecture, people-watching, and charm of a place pulls me to it while I ignore my body’s needs — it happens all the time, I have to admit. But getting older means paying closer attention. Great advice, every bit of it, even when not on the road.Everything is better when we’re active and energized, and of course, the Big Payoff is enjoying sinfully good food without packing on the pounds. Love, love, love this post! Love, love, love your comment and yes, this should be for everyday life. peeling, washing and cooking is a simple bit of advice and one we have strayed from. We did suffer the consequences once in Sri Lanka. It was awful. However we just try not to be silly while still enjoying everything. Great, great, great tips Paula! I especially like the “down time”. Too many times, we tend to pack it in so much that we need a vacation from the vacation! Thanks, thanks, thanks Corinne. Totally agree, down time is imperative for every traveler. Many travelers ignore the importance of drinking water and staying hydrated. Love your post, Paula! Thank you, I think that I just thought a lot about what we do and water was number 1. Slip slop slap- te he he!! Thanks, we Australians all know about Slip, Slop and Slap – it is ingrained in all of us and is totally necessary. Well, I got to the end of the list and thought: ‘very sensible, Paula’! But they are sensible and should be obvious, but… So thanks for organising this list so well. Can you tell my family that I am sensible 🙂 Actually I think that people naturally do lose weight when they travel because most people do walk a lot more. Just tell your family to read all the comments to this post – but you don’t really want the reputation of being sensible, do you??? Great advice. Taking down time while traveling was something that took me awhile to learn, but is very important for health. Traveling can be so exhausting so rest is very important! Katie, I think so many people try and do ‘everything’ and forsake that down time can be a very good thing not just physically but mentally as well. Great tips for staying healthy. I so agree that enjoying different kind of food while travelling is an important part of the travel experience. Thanks for sharing. All very sensible tips while traveling- water is the best – and lots of it! Thanks Rossana, I think that water is a key to so many things. These are all VERY sensible tips, and I like the way you put them in threes for emphasis. The thing I always forget to do is water, but I am getting better with it now that we’re in warm, warm, warm countries. Laugh, Laugh, laugh. MUST stay hydrated and probably more so in countries where there is altitude. 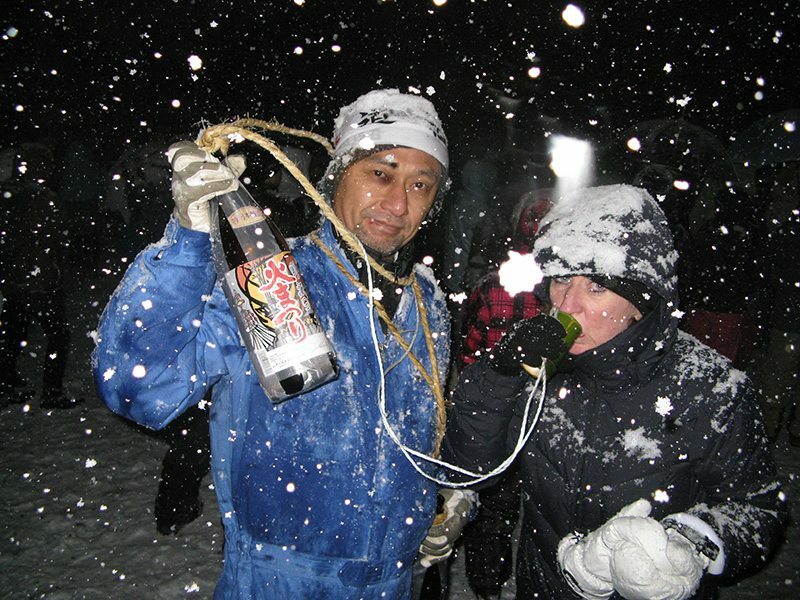 When we go to Nozawa Onsen in Japan to ski, the first thing is to drink water to stop any head aches.